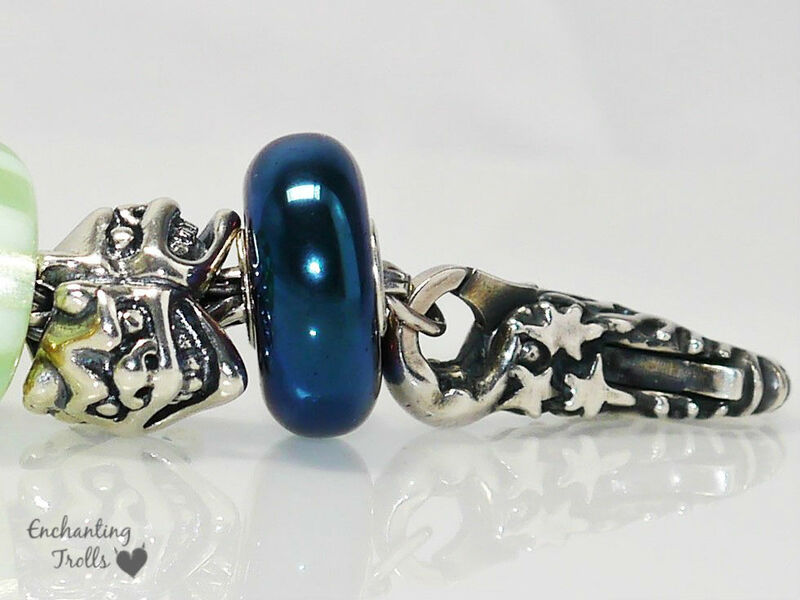 This post brings a review of the Limited Edition Trollbead, ‘Party Time’ (known as the ‘Festeggiamo’ bead in Italy). 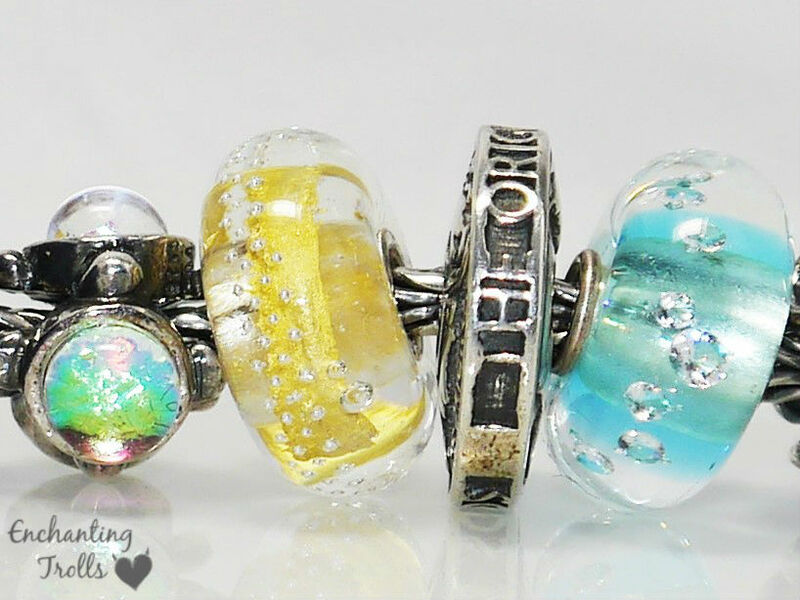 Initially it seemed that the ‘Festeggiamo’ bead would only be available in store at selected Italian retailers. This was shortly followed by news that the bead would also see wider release on 2nd March, but referred to as the ‘Party Time’ bead, and available to US and Danish retailers. 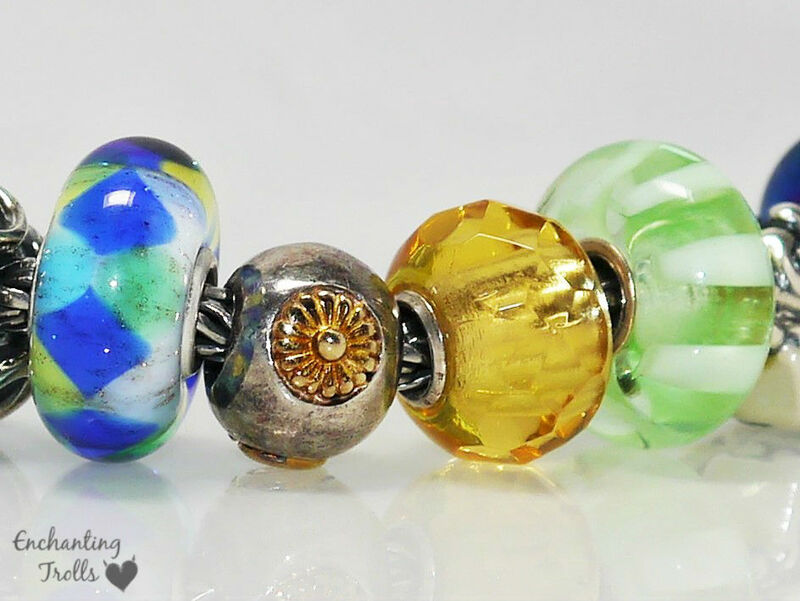 This bead appears to continue the run of ‘country specific beads’ from last year, particularly as it has a product code of IT6114. 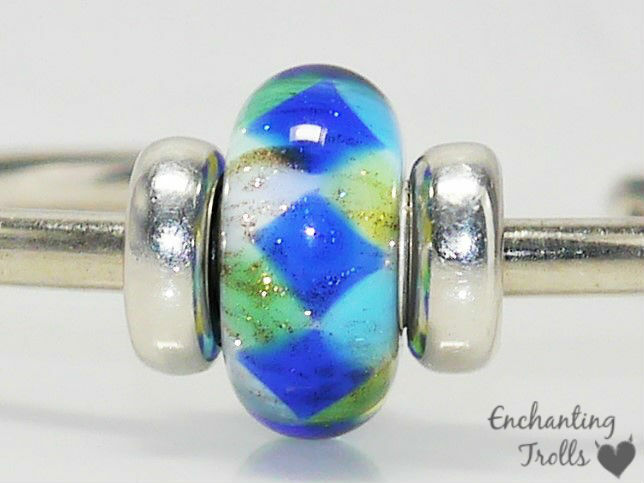 The bead features a vibrant blue harlequin surface pattern on a white core covered in coppery glitter. Either side of the blue harlequin pattern there are shaded areas of turquoise, green, yellow and also a subtle a hint of lilac. 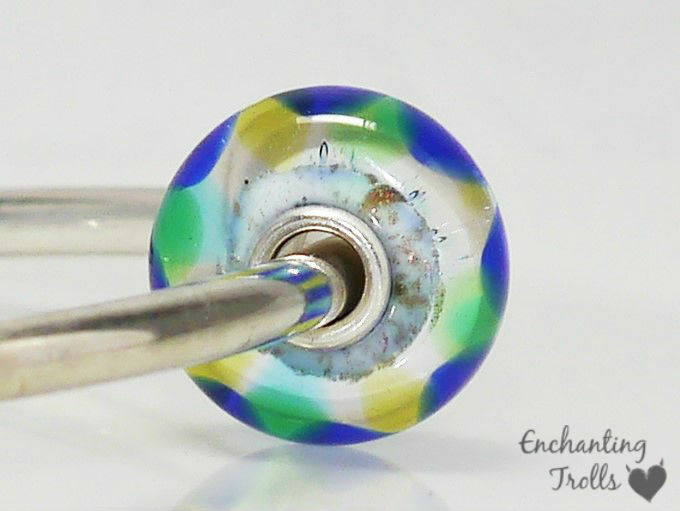 When I first saw images of this bead, I presumed these colours were on the core of the bead, but they are in fact at the surface of the glass. 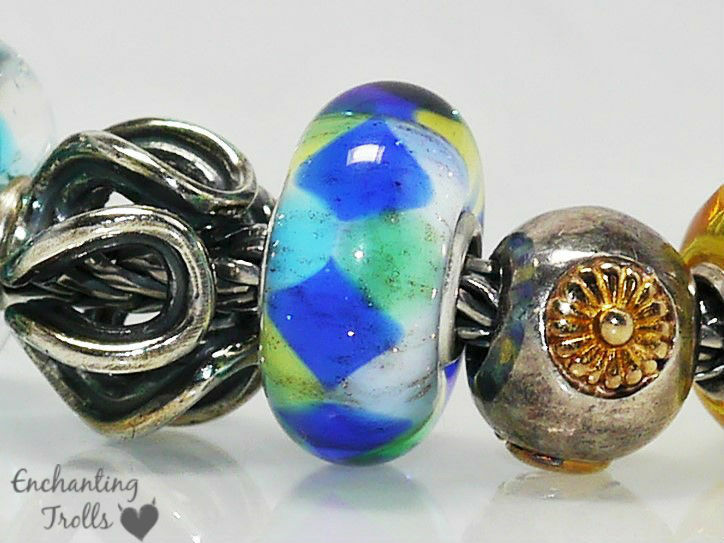 When I tried to design a bracelet around the bead, I was unsure whether to include lilac to bring out the subtle colour within the bead, but in the end I decided to just focus on the other more prominent shades. 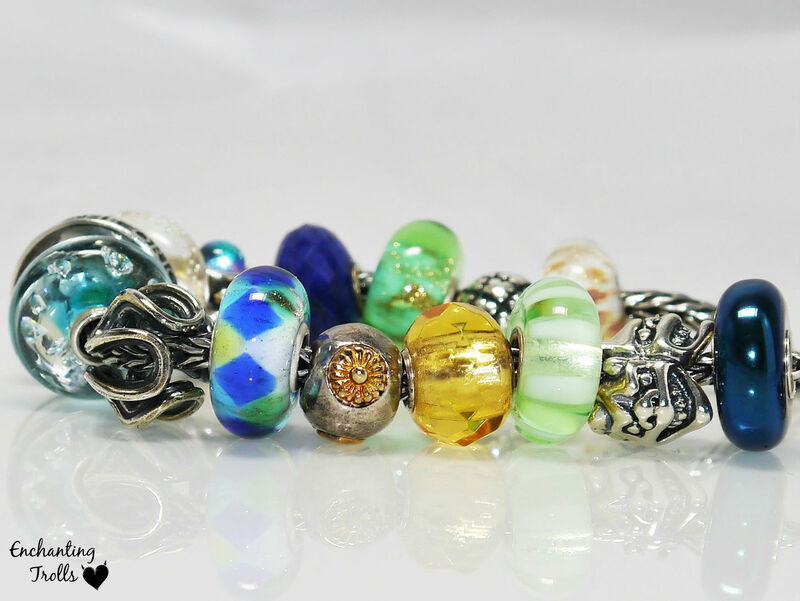 Because of the multitude of colours within this bead, there are so many ways that a bracelet could be created, either by picking out one main colour, using all the colours or even by creating a neutral bracelet with this bead as a focal point. 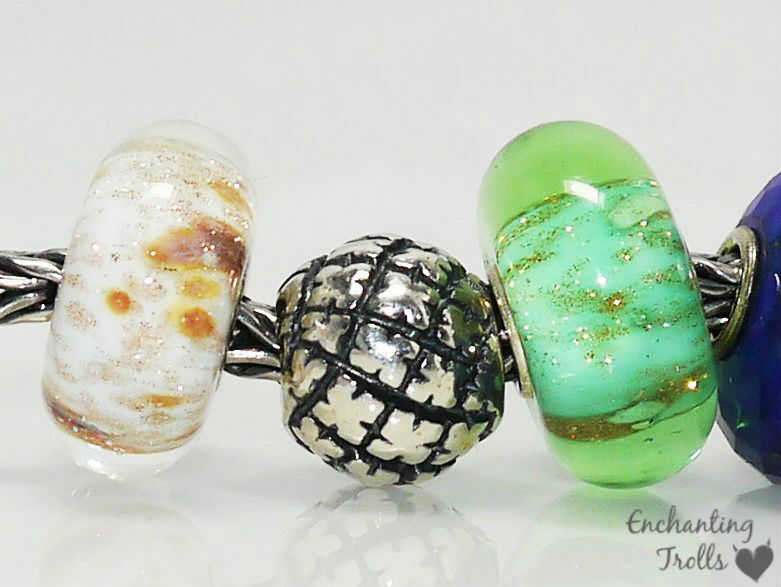 I generally tend to gravitate to pastel colours but something about this bead instantly caught my attention. Adding ouches of glitter and gold to the bracelet creates a rather opulent look. It is a bracelet that I can see myself wearing a lot in the summer with either a plain white or black dress, where the bracelet would give an instant ‘pop’ of colour. 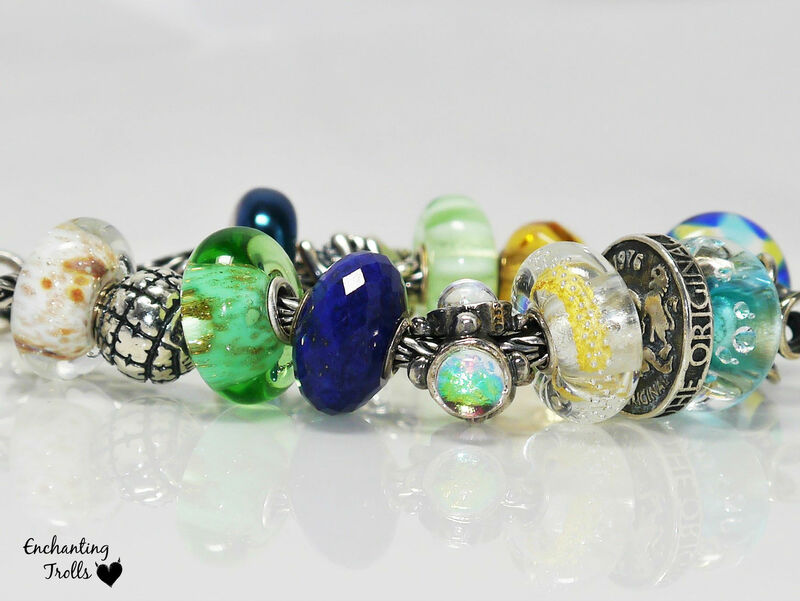 Trollbeads featured (left to right): ‘Scirocco’, ‘Nomad’, ‘Seabed’, ‘Lapis Lazuli’, ‘The Trinity’, ‘Gold Silver Trace’, ‘Troll Coin’, ‘Diamond Bead Ice Blue’, ‘Path of Life’, ‘Party Time’, ‘Sun Bead’, ‘Yellow Prism’, ‘Light Green Stripe’, ‘Trollbeads Day 2014 bead’, ‘Blue Hematite’. 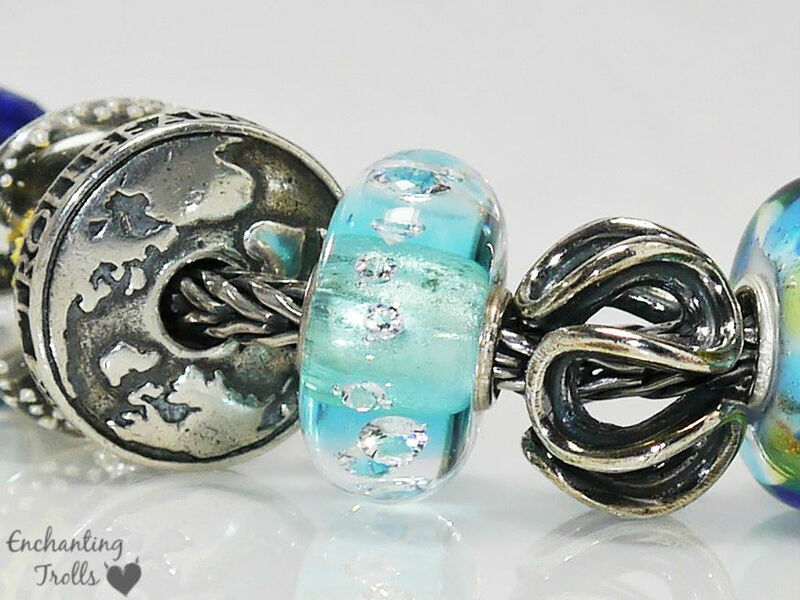 A very pretty bracelet, Elsa! 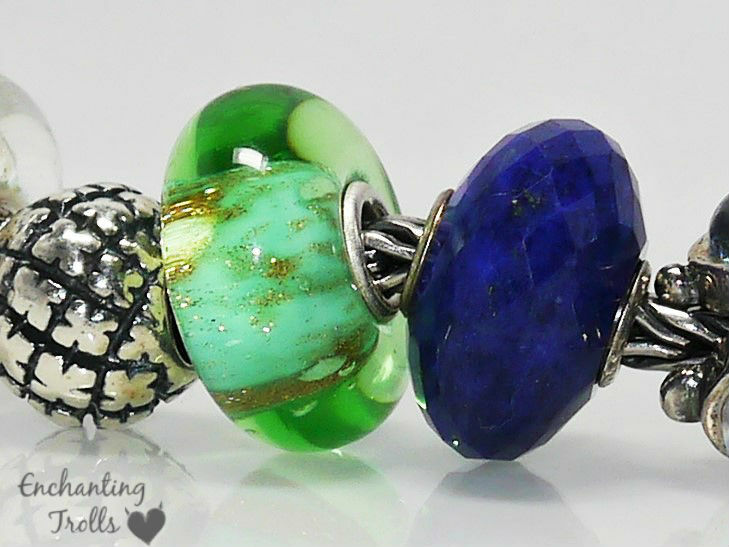 I do really like this bead, but have been going a bit mad in sales and promotions recently. I hope it doesn’t end up being too LE for me to get in future – and also I hope they send a batch to the UK! Hi Amanda! Thank you! If these beads do appear in the UK, I would be tempted to get another, as I think the bracelet would have looked better with a couple of these beads on. But then again it looks to be an expensive month with the Good Luck starter bracelet (NEED that lock!) and the Easter release (NEED those dragons!). 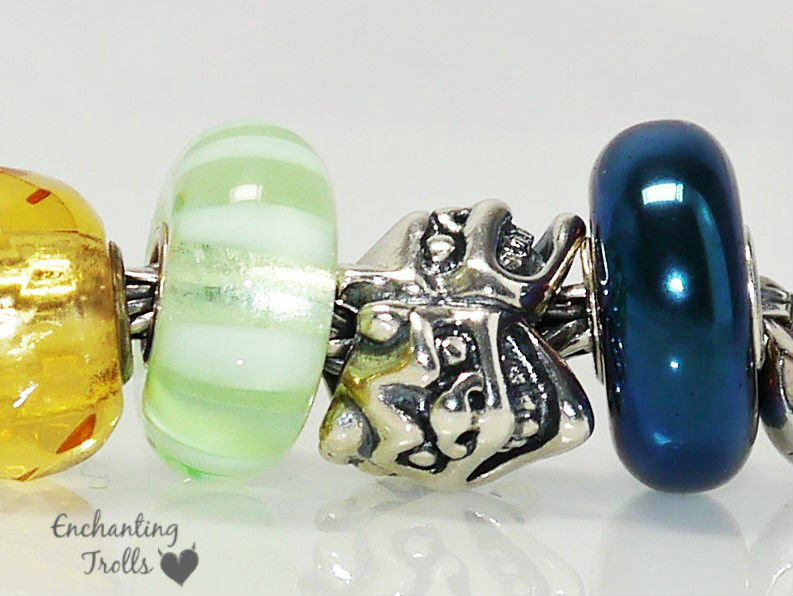 Hoping after the Easter release Trollbeads don’t have any other sneaky tempting releases as I need to save up for the Summer Stones kit in June!